On August 6, I spoke outside the fence at the Lawrence Livermore National Laboratory, one of the main U.S. nuclear weapons labs, at a commemoration of the U.S. atomic bombing of Hiroshima. I received many requests for copies of my talk–which at that point consisted of pages of notes and quotes. I have reduced it to a text which should be fairly close to the talk as delivered. A pdf of that talk can be found by clicking here. 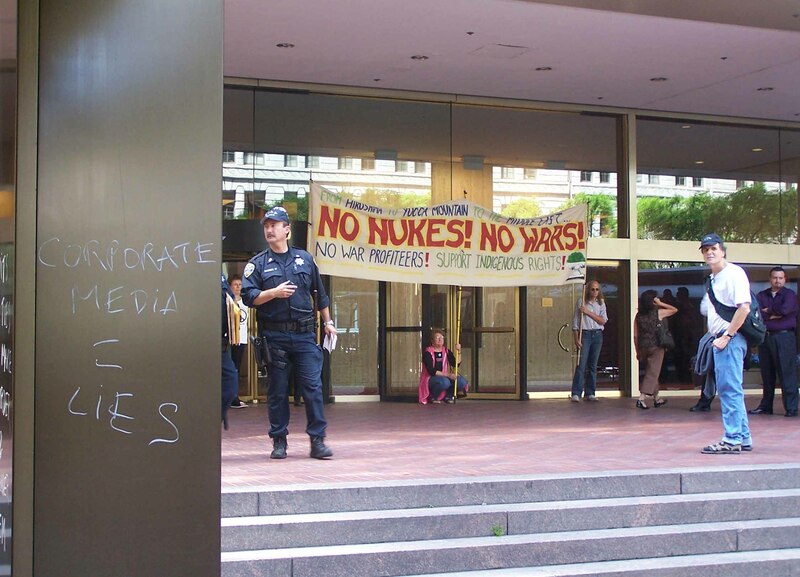 On Thursday, November 16, student activists from the Coalition to Demilitarize the University of California (UC) shut down a Board of Regents committee meeting, which was set to discuss issues related to the University’s management of two U.S. nuclear weapons laboratories: Los Alamos National Laboratory and Lawrence Livermore National Laboratory. that the Regents lobby the federal government, in the interest of true national security, to build a new, federally-funded sustainable energy research laboratory, with said funding to be transferred from the budgets of the Los Alamos and Lawrence Livermore laboratories. Any serious national research effort toward sustainability must be fully autonomous from militarized institutions like the weapons labs. Later, as the Department of Energy (DOE) Lab Oversight Committee of the UC Regents was set to convene, nine members of the Coalition “adjourned” the meeting by sitting on the floor, chanting and linking arms. 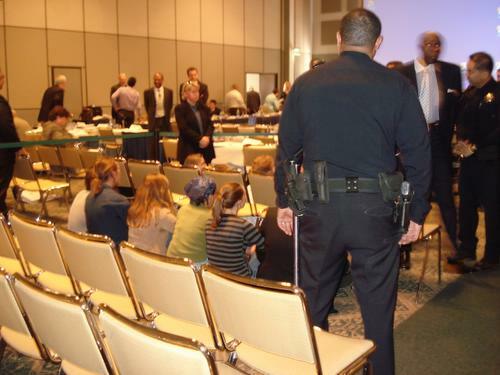 As the UCLA police intervened to “disperse” the protest, the regents filed out of the meeting room, thus conceding the day to the protesters. The nine members of the Coalition were arrested and, one by one, dragged from the meeting room. They vowed to be back and to not let the regents meet until the University met their demands. Video clips of the protest are available on YouTube (part one, part two, part three, part four, part five). Additional coverage of the protest and the full Coalition statement is available on Indymedia here. 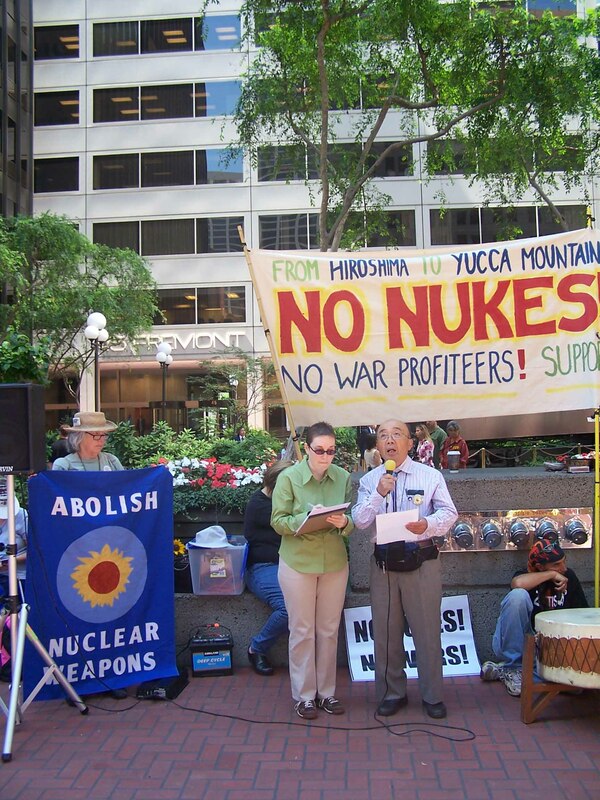 On August 9, 61 years after the United States dropped the second of the two atomic bombs used in war on Nagasaki, Japan, groups around the country gathered to protest continued U.S. commitment to war as a means of achieving political and economic ends, with a focus on the global corporations that profit from war and preparation for war. 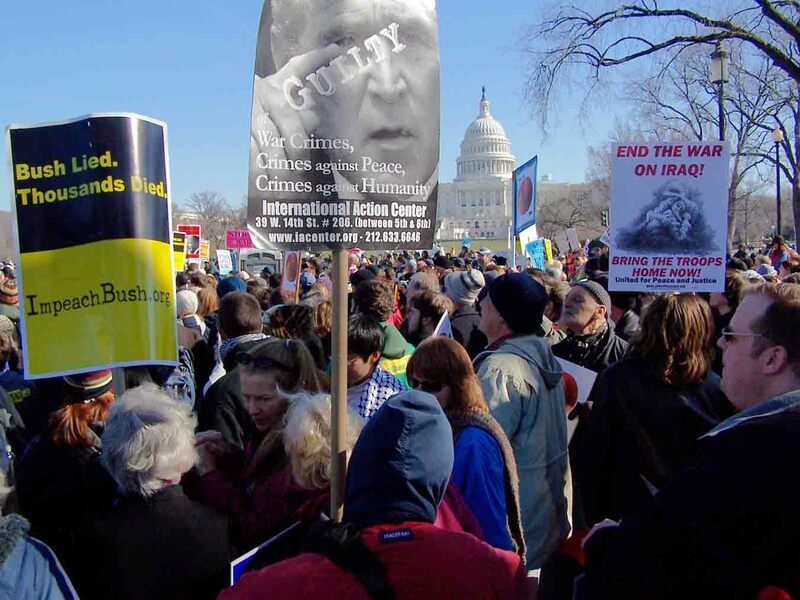 The focus was Bechtel Corporation, a company with a history intertwined with U.S. ascendance as the world’s dominant military and economic power and with its nuclear power and weapons industries. 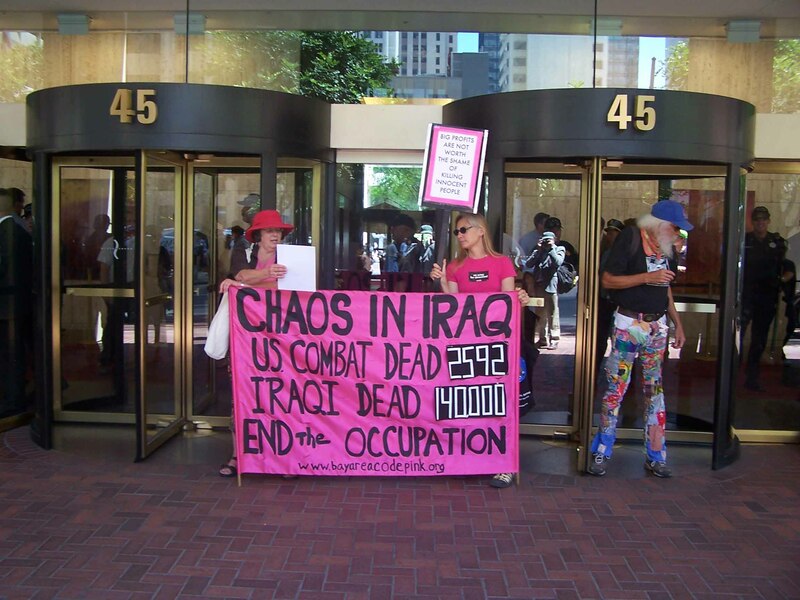 With billions in Iraq reconstruction contracts and billions more in U.S. military contracts, Bechtel continues to profit from U.S. war making. 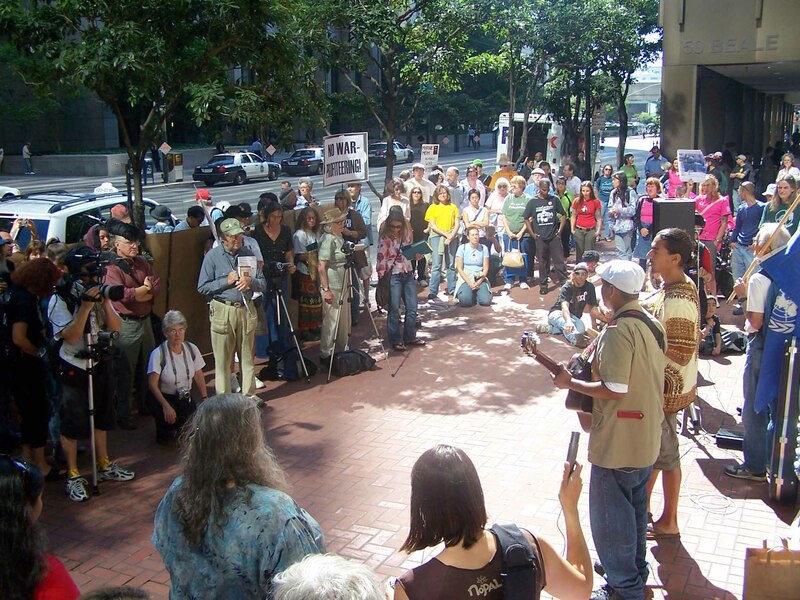 In San Francisco, about 200 people gathered at Bechtel’s global headquarters for a program of speakers and music. Keiji Tsuchiya, a survivor of the atomic bombing of Hiroshima, spoke of his experience, and there were speakers addressing various aspects of of Bechtel’s global impact. 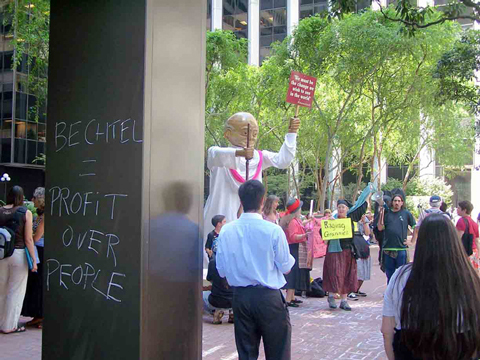 A number of people blocked the entrances to the building complex housing Bechtel, resulting in a small number of arrests by the San Francisco police. A few people chanted “this is what a police state looks like” as one protester was carried off, but to those who experienced San Francisco street demonstrations in decades past (for example, in the 80’s under Mayor Dianne Feinstein), the police presence was pretty low key– no truncheons, no beatings, no one run over by motorcycles or stepped on by horses. I had three or four minutes on the program for some remarks on Bechtel’s nuclear weapons role and its connection to their other activities; several people asked for a text. For those interested, it can be found after the “more” jump below. Grandmothers Against the War came to the multi-service Armed Forces Recruiting Center in suburban Pleasant Hill, California, yesterday, symbolically offering to enlist to prevent the waste of young lives in U.S. wars. 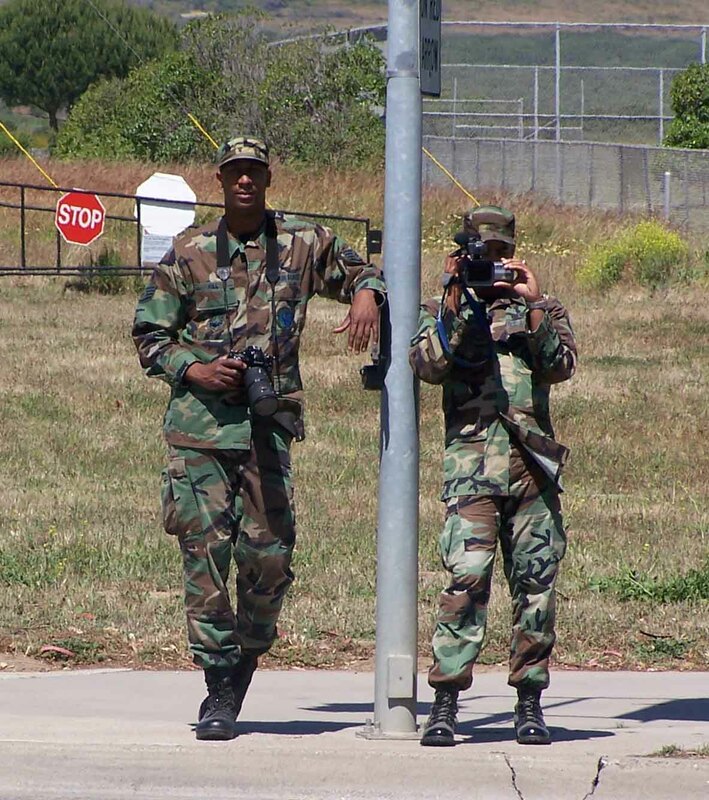 The Army and the Navy locked their doors, but the Marines stayed open. Grandmothers and their supporters filed in; the Marines distributed literature with enlistment requirements and informed them that they would not need their service at this time. Four people who refused to leave the recruiting office were cited for trespassing by Pleasant Hill police and released at the scene. The Contra Costa Times ran a good story on page 2.